Administering cortisone injections for instant relief from pain and swelling has always remained the first choice for physicians to help their patients. However, between PRP injections vs cortisone shots, PRP injections are now proving to be a far better option. PRP therapy can help with alleviating the discomfort. And, initiate the healing process to provide long-term relief. Doctors are now accepting that using cortisone injections may have more adverse effects that positive effects. If you’re looking for treatment for joint pain, injured tendons, muscular injuries, or any other musculoskeletal issues, talk to your doctor and ask about getting PRP treatment. PRP stands for Platelet Rich Plasma, a compound that doctors derive from your blood by using a simple process. They harvest a sample of your blood and spin it in a centrifugal device. In response to the spinning motion, the heavier red blood cells settle at the bottom. The other components such as plasma and white blood cells collect at the top. Using aspiration methods, doctors extract the Platelet Rich Plasma and spin it for the second time. The medical practitioner prepares the purified serum after adding FDA-approved components like epinephrine. This additive acts as a pain reliever and anti-allergy agent. 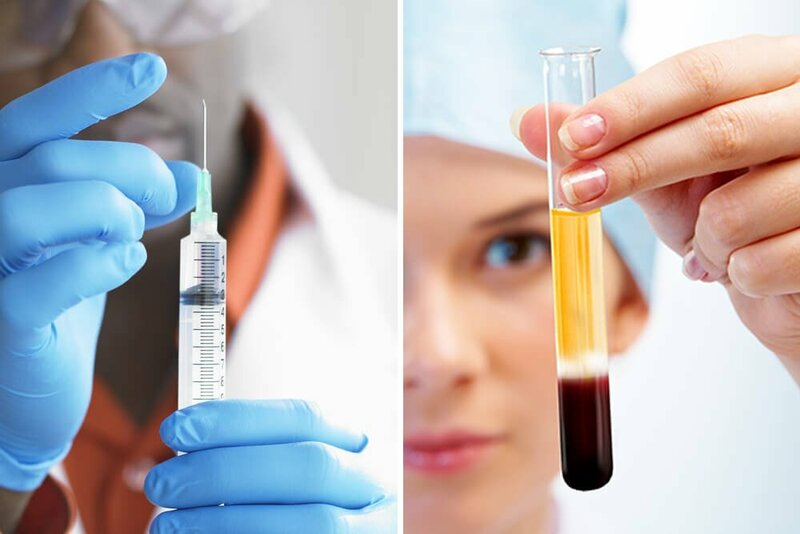 PRP injections contain the resultant serum that is packed with a concentration of growth factors, mesenchymal stem cells, cytokines, and other factors. When introduced into the treatment site, it works to speed up the healing of muscles, tendons, and joints. It also promotes the production of the buffering substances that prevent the joints from rubbing against each other. Without pain, you’re likely to continue using the affected muscles, tendons, or joints as before. As a result, they are unable to heal, and you end up incurring more damage when you don’t rest the injury. You might also inadvertently cause additional wear to the surrounding bones, ligaments, and tissues. Inflammation is the body’s healing response. It floods the area with stem cells and growth factors that are designed to repair the injured tissues. By preventing inflammation, cortisone injections prevent healing. 3 to 6 months down the line, you’re likely to find the pain and discomfort worsening. With their bioactive proteins and other healing compounds, PRP injections promote the growth of new cells and help in the regeneration of tissues. In fact, the PRP serum can also repair old injuries in the muscles and tendons by stimulating the body’s healing responses. It creates new blood vessels in the toughened scar tissue so that repair is accelerated again. PRP treatments may continue to work up to 12 months after being given. In addition to just masking the pain and difficulty in movement, cortisone injections have other undesirable side effects that you need to be aware of. Because of these harmful effects, your doctor may restrict the number of doses you can safely receive. Cushing’s syndrome or hypercortisolism is a condition resulting from high levels of cortisone in the body. 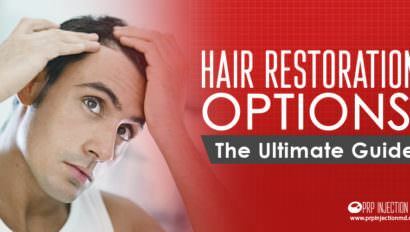 This condition leads to unwanted hair growth, obesity, weakened bones, and infertility. Surgery as an option is only delayed. Once the effects start to wear off, you might need to look for other options. The PRP serum is a natural compound created from your blood and not likely to be rejected by your body. Since the treatment is given under carefully sterilized conditions, you are unlikely to have any adverse reactions or infections. PRP therapy is a long-term treatment, and as the body heals, you’ll see positive results in 4 to 6 months. You might find that the healing is so effective that you can avoid surgery altogether. The only possible downside of PRP injections is the cost factor. Insurance providers are typically willing to cover or reimburse the cost of getting cortisone injections. They may even offer to support the cost of surgery should you need it eventually. However, they may be unwilling to support PRP treatment. That’s because; PRP injections are created from the blood of individual patients and don’t have standardized results. Though, many insurance providers may preauthorize the treatment if you can convince them. Discuss the issue with your insurance agents and talk about the many benefits of PRP. Consider presenting testimonies of past patients that you can get from the medical practitioner you have chosen. Talk to your treatment provider about the economic processes of creating the PRP injections as outlined by the National Center for Biotechnology Information (NCBI). The most advanced methods for formulating the PRP serum cost a fraction of the common procedures in use today. The total out-of-pocket cost may also be much lower than the expense of getting cortisone injections. Given a choice between cortisone injections and PRP injections, opting for the latter may be a better idea. You’ll avoid all the possible adverse effects of corticosteroids and get more effective and long-lasting results. Talk to your medical practitioner about all the options available today. 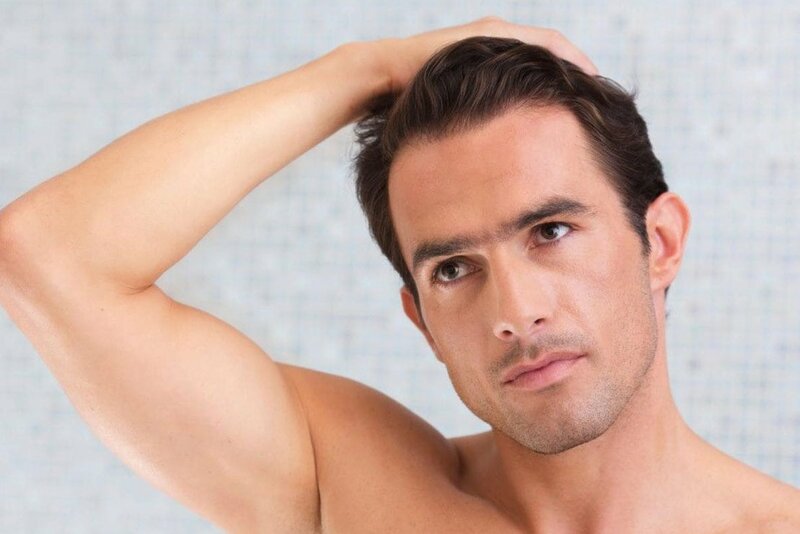 PRP Injections vs. Cortisone Injections – What’s Better? From your brief email, I am guessing you need more information about how PRP can help you better than corticosteroids. I am going to request that you call us at this number: (888) 981-9516. We have a team of expert consultants that can help you with all the details you need.